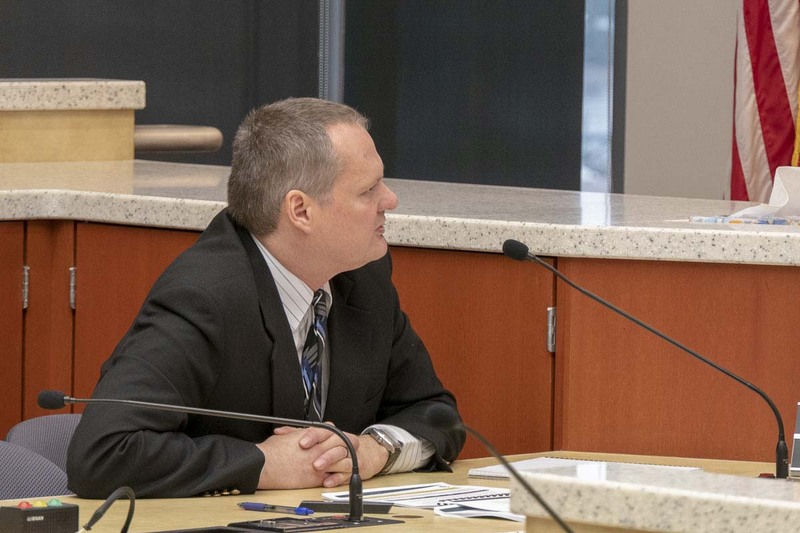 CLARK COUNTY — It was, perhaps, appropriate that new Clark County Manager Shawn Henessee outlined his proposed budget to the county council on Halloween, because it was a rather grim picture. “No dessert in this budget,” quipped outgoing County Chair Marc Boldt. Henessee is just a few months into his job, and said he hasn’t had time yet to look at every department, but told the council he expects that there will be recommendations to cut service levels deeply in many areas. He added that he’s not in favor of across-the-board cuts, because they can unduly punish departments that have worked hard to find efficiencies and cut costs, but he does expect that significant cutbacks will need to be made in a lot of areas. Full-time employment for the county has stayed largely flat since 2009, but Henessee says payroll costs have gone up over 60 percent in that same time period. While some of that comes from negotiated pay scales, since around 80 percent of the county workforce is union, a huge chunk is healthcare costs and retirement benefits, two things the county has very little control over. While the council voted 4-1 this year to accept an allowed 1 percent property tax increase, with council chair candidate Eileen Quiring being the lone no vote, Henessee said the decision not to take those increases have cost the county $15 million in revenue. Failing to approve a 1 percent increase in the road fund has also cost a potential $17 million in revenue there. Henessee is recommending the council again approve a 1 percent property tax increase for this coming budget in order to raise around $633,000 in additional revenue. Doing so would cost the average homeowner with a house worth the median of $350,000 around $3.41 extra per year. His recommended budget, however, did not include the 1 percent property tax levy. It did assume 5.7 percent sales tax growth next year, with 4.2 percent growth 2020 and on. County policy says the General Fund needs to maintain a starting balance of $24.3 million. Henessee says current projections put that fund balance at just over $8 million by 2023. One complicating factor is that the county is switching back to an annual budget, meaning it’s more difficult to line up current projections with past performance. The switch was done in order to allow the county manager and council to more quickly respond to changing economic conditions by looking at the full budget each year. The county is also considering a move to more performance-based budgeting, as opposed to the current line item model. One area that rapid economic change has been seen most starkly is in construction and maintenance costs. Henesseee recommended that the council put off approving a $1.3 million repair for the courthouse roof, despite the fact that previous delays have seen the quoted price for the project skyrocket due to the booming local building industry. Henessee also recommends delaying a $2.3 million project to renovate one of the major parking lots at the Clark County fairgrounds. He does hope that his use of conservative revenue projections will prove to be, well, conservative, and that will allow the county to revisit some of these much-needed projects during the upcoming year. Crime played a role on both sides of the ledger in this budget projection, as a rise in violent crime and unforeseen litigation caused higher than expected costs in indigent defense and legal expenses. The county also saw a decrease of nearly a million dollars they expected to see from renting out beds at the county jail for misdemeanor offenses. Councilor Jeanne Stewart said she planned to speak with the city of Vancouver to see if they are arresting fewer people for misdemeanors, but it could also be that an increased emphasis on diversion programs means fewer low-level offenders are ending up behind bars. On the rising cost of public defenders, the county is planning to make a major push this coming year for the legislature to step in and provide more local funding, since it’s something state law requires, but there wasn’t a lot of optimism in the room that anyone in Olympia was going to swoop in and take the burden off their shoulders. Another ongoing issue is technology. 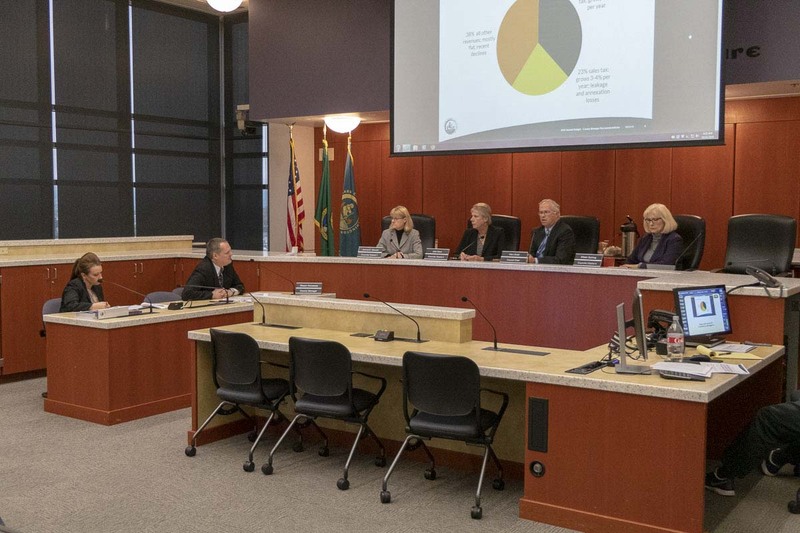 The county has been working to upgrade its financial management software, and Henessee recommended more than a million dollars, reluctantly, to move over to Microsoft’s subscription-based Office 365 email platform. That will represent both a one-time cost, and ongoing expenses for the subscription, but Henessee said he’s recommending it now because it will also help to keep the county from being vulnerable to hacking and other technological dangers. Henessee cautioned that these projections are largely based on sales tax revenue continuing to exceed expectations. Should even a slight economic recession hit, the county could be even harder pressed to keep things afloat. The council will move ahead with their part of the budget process now, which will likely include a public hearing in November before a final vote in early December. They can choose to approve Henesee’s proposal, or make changes before final approval. You can read Henessee’s budget report here.